The mountains around Shidu are so close and so high that it's necessary to go vertical to fit the skyline in. 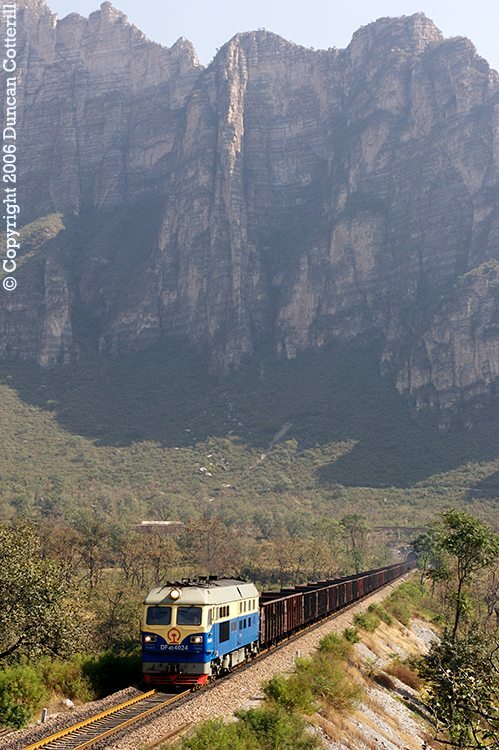 DF4D 4024 approached Shidu with a westbound train of empty coal wagons on 1 October 2006. This location is immediately east of the short tunnel shown on the previous page.